To determine whether a product is safe, the manufacturer or importer must carry out a risk assessment. This assesses not only the properties of each individual ingredient, but also their interactions with each other. The safety can only be determined by someone who is authorised to do so, for example a toxicologist, pharmacologist, dermatologist or a chemist. Grimas employs its own ecologist/toxicologist. In addition to the legally required product safety report that a manufacturer must be able to provide to inspection agencies, Safety Information is also given on the Grimas website. There is a statement of what each product looks like, how it is packaged and what ingredients it contains. Other subjects that are covered are toxicology, dermatology, bacteriology, the minimum shelf life and improper use. 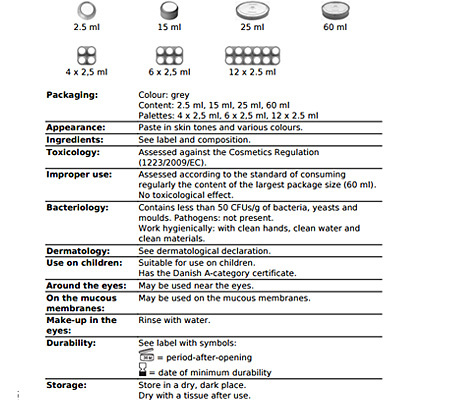 It also states for each product whether it may be used near the mucous membranes, close to the eyes and on children. This means that everyone can find all necessary information in terms of safety for each product.